The UN High Commission for Refugees (UNHCR) website published Tuesday a story about the Vietnamese Central Highlands ethnic people who are not punished by local authorities for leaving Viet Nam illegally. 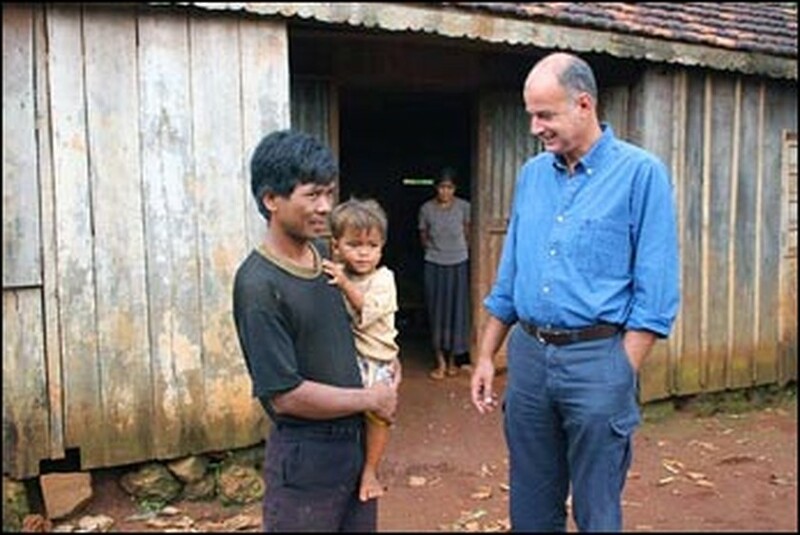 The article reads: “Giuseppe de Vincentis, deputy head of UNHCR's regional office in Bangkok, and Vu Anh Son, head of the agency's Viet Nam operations, last week visited the Central Highlands to ascertain that ethnic people have not been punished for leaving the country illegally. Most of the 33 returnees the team met were interviewed in private. The returnees told remarkably similar stories. In this collective society, most said they simply followed others to Cambodia, and no one seemed to know who had organized the departure of groups as large as 50 people, mostly men. None told their families they were leaving. Ksor Dim, aged 20, said the lure of America caused her to leave her husband on the spur of the moment and head for Cambodia with her infant son. "It was dangerous," she says now. "I was very scared. I had no plan at all." Added one 29-year-old man: "I followed people leaving and I followed people coming back." "I wanted to go to Cambodia for my religion," said Kpuih Hlat, 40, the father of five children. In Cambodia, he said, "I tried to practice my religion, but I could not find the real thing, so I decided to return." The returnees all told the UNHCR monitoring team that their families were happy to receive them, and that they have easily resumed their old lives. 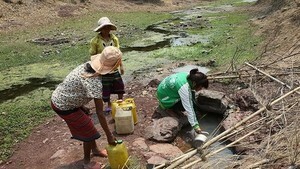 "The condition of the returnees is the same as the rest of the population in the villages," said UNHCR's Vu Anh Son. Although the living standard of ethnic minorities is generally low, the returnees "are not necessarily worse off than other people in this area, and many said they have benefited from help of the local authorities – allocations of rice and kerosene – to help them re-establish their lives back home," he added. Local Vietnamese officials are also trying to head off new departures. But the most powerful testimony comes from the returnees themselves. "Nobody leaves from this commune any more since people coming back discouraged them from leaving," said Rmah Kluch, chairman of the Duc Co People's Committee. After last week's mission, UNHCR has now monitored 100 percent of returnees in Kon Tum province and nearly 70 percent in Gia Lai province, far above the numbers that are usually monitored by the refugee agency. A major breakthrough of last week's monitoring mission was a visit to a returnee who was arrested for people-smuggling and sentenced to four-and-a-half years in prison. He had no complaints about his treatment, but was eager to finish his sentence and get back home. "The fact that we could visit a prisoner was a clear signal of cooperation from the Vietnamese authorities," said de Vincentis. "Symbolically and substantially, this was quite a major development."